We are currently reviewing the Pi-Mote from Energenie. 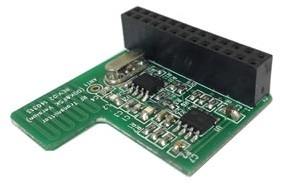 This is a small Raspberry Pi compatible radio transmitter board which can control up to four 13A mains sockets. We are reviewing the starter kit which includes two radio controlled sockets and the Raspberry Pi transmitter board (pictured below). The Pi-Mote simply plugs onto the GPIO pins of the Raspberry Pi (compatible with both Raspberry Pi B and B+ but for the B it takes up all of the GPIO pins) and then a simple provided Python script is run on the Pi to supply an identifying control code to each of your sockets so you can subsequently toggle them on or off individually (or all at the same time) as and when you desire. We sell a lot of low voltage controllers designed to be used to control mains powered devices – e.g. pumps in solar water heating pump controllers and in rainwater toilet flushing systems, immersion elements, motors, lighting, heaters, coolers, etc. 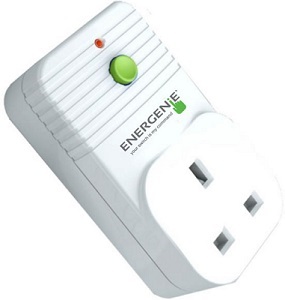 The benefit of the Pi-Mote is that it is completely unnecessary to mess around with any mains wiring – you just plug the mains powered device(s) to be controlled into energenie radio-controlled sockets, and then use software on the Raspberry Pi to control the devices remotely. We will be conducting a thorough review of the Pi-Mote and writing some Python scripts to provide some real world examples of its potential uses for a detailed article coming soon on the REUK.co.uk website. In the meantime, click here for more information or to buy the Pi-Mote Starter Kit now.